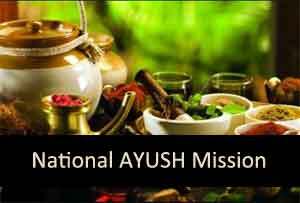 Minister of State for AYUSH, Shri Shripad Yesso Naik through a written reply to a question in Rajya Sabha informed the central government about the Centrally Sponsored Scheme of National AYUSH Mission (NAM) to develop and encourage the AYUSH system of medicine in the country. The Mission envisages better access to AYUSH services, strengthening of AYUSH educational institutions, enforcement of quality control of Ayurveda, Siddha and Unani & Homoeopathy (ASUSH) drugs and promotion of medicinal plants for sustainable availability of raw-materials for ASU & H drugs in the States/UTs. Do research on these bunkam fellows who practice modren medicine in the name aysh .